If you’re thinking of buying a home in the next few months or even in the coming years, it’s never too early to start saving for your down payment – a critical step in the homebuying process. There are many ways you can save for your down payment, and the more you can put down above and beyond the required 5%, the better. The smaller your mortgage and the lower amount of interest you’ll pay over your time as a mortgage holder, the quicker you can build home equity. Responsible financial management skills are essential when buying a home, so it’s important to figure out your down payment savings goal and then create a plan. Your first step is to establish a budget and gain a realistic and comprehensive picture of your current financial situation. This will help you identify areas where you may be able to cut back and save. It will also help you determine the mortgage amount for which you’ll ultimately qualify. You don’t want to find the house of your dreams only to realize that it’s beyond your means. Use an online mortgage calculator to determine how much you’ll need to save each month. Your budget should include monthly income and expenses such as car payments, gas, cell phone, Internet, cable, utilities, groceries, dining out, entertainment, public transit and any other regular expenditures. Be disciplined with what goes in and what comes out of your bank account. Curb your spending habits if necessary. Even small measures can lead to great savings over time. There are many simple ways to cut out excessive spending such as taking your lunch to work instead of eating out, or avoiding temptation to buy the latest tech gadgets. Clearly identify your needs versus your wants. 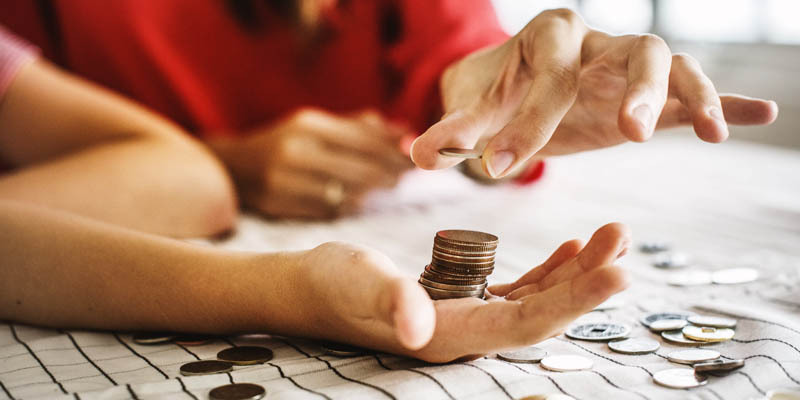 It’s also worthwhile setting up a monthly automatic savings plan, which will transfer a specific amount of funds into a savings account, preferably one that pays some interest such as a tax- free savings account (TFSA). In virtually no time at all, you’ll barely notice the ‘missing’ fund. It’s important to establish a good credit history and build a strong credit score, so don’t be tempted to control spending by cutting up your credit cards. Instead, be aggressive about paying down any balances or set up an automatic payment play to help with repayment. Credit cards carry extremely high interest rates so, if you have a large balance, it will be very difficult for you to put any savings away. Have questions about your down payment options? We’re here to help! Answers are just a call or email away.